The latest blockbusting soundtrack from Hans Zimmer has a lot to live up to, thanks to the already-iconic work of John Williams on the original Superman movie. So how does the new soundtrack fare? Find out with our guide. 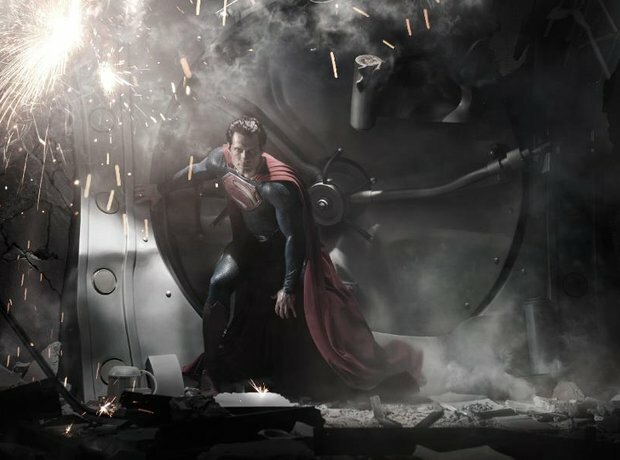 You'd expect the opening of the new Superman soundtrack to be a bombastic, heroic theme performed with gusto. Well, expect away. This is dark, dense and moody - exactly the intended capture of this new, distinctly modern interpretation of the comic book classic. Hans Zimmer's clear gift for effects and atmosphere come into play here, with bombastic percussion and squeal-y sounds (that's the technical term) in the foreground. Prepare to be battered. Superman, of course, comes from another planet. In this excerpt, the film (and, therefore, Zimmer) attempts to get to the heart of why he's ended up on earth at all, with another haunting and rather spooky track. All remains hushed and intriguing for this section, save for the presence of what sounds like a Vangelis-style synthesiser that gradually swells and climaxes before those thundering drums return, with lower string reinforcements. Belting stuff. Deep brass and more skipping percussion give a doom-laden atmosphere here. Amy Adams, pictured here at the Man Of Steel world premiere, takes on the iconic role of Lois Lane. General Zod, played by the imposing Michael Shannon, is the fellow Kryptonian who is hell-bent on destroying Superman. But the Krypton's Last of this title is, given the reflective violin theme, is most undoubtedly Superman himself. Rhythmically, this has to be one of Zimmer's most daring film scores. Even though the action is high-octane, the energy in the music is incredible. Again, and as you might expect for a track named 'Tornado', the sheer verve of Zimmer's score is blistering. Here's Laurence Fishburne, who plays the editor of The Daily Planet, at the world premiere of Man Of Steel. When the lines between good and evil are drawn so clearly, conflict is inevitable. But when Zimmer has to create that conflict, he does it delicately, almost mysteriously. Stabbing strings and more of that omnipresent booming percussion dominate things dominate here. Hope the drummer's getting paid by the minute. There's the hint of a helicopter in the opening crashes of this driving percussion masterclass. It's interesting to note that even when Zimmer turns the dynamics down, the percussion is still as intricate and important as when it's at full blast. Bringing out the choral big guns makes this an elemental, human-sounding extract from the soundtrack - that is until the Wagner-esque lower brass has its way with it. Henry Cavill was originally in the frame to play Superman in the franchise's last instalment in 2006, but he lost out to Brandon Routh. But now he's finally gotten to play one of the most iconic roles in cinematic history. The ringing synth lines are back! This time, though, they're quite nicely buoyed by a low cello medley. One of Superman's key skills is flight. Obviously. So when Hans Zimmer initially makes this track less than soaring, relying on slow, drone-like build-up, it's a surprise. But then it takes off, it actually becomes one of the soundtrack's most triumphant moments. Zimmer himself has admitted to feeling daunted by the John Williams (pictured) score from the original Superman movie, but it looks like those fears were unfounded. This is probably the most traditionally 'heroic' sounding part of the whole Man Of Steel soundtrack. By ignoring what has gone before (i.e. John Williams), Zimmer has fully embraced director Zack Snyder's (pictured here with his wife at the world premiere) vision of a darker superhero movie.